By Man Shall His Blood Be Shed: A Catholic Defense of Capital Punishment received some pretty nasty reviews from Paul Griffiths in First Things and David Bentley Hart in Commonweal. My response to Griffiths and Hart can now be read at Catholic World Report. 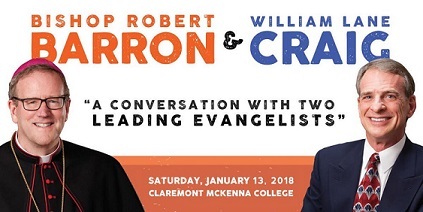 On Saturday, January 13, 2018, the Claremont Center for Reason, Religion, and Public Affairs will host “A Conversation with Bishop Robert Barron and William Lane Craig” at Claremont McKenna College. 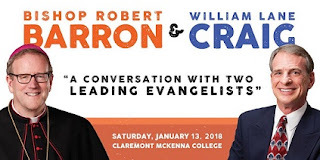 The moderators of the discussion will be Stephen Davis and Edward Feser. The event is free but registration is required. More information here. 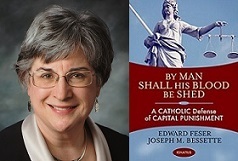 In a recent article at Catholic World Report, Prof. Robert Fastiggi defends the claim that the Church could reverse her traditional teaching that capital punishment is legitimate in principle. My reply to Fastiggi has now been posted at CWR. UPDATE 11/21: Part 3 has also now been posted. UPDATE 11/20: Part 2 has now been posted. 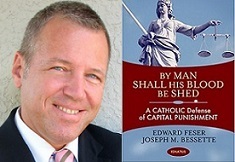 In a recent series of articles at Public Discourse, E. Christian Brugger (here and here) and Christopher Tollefsen (here and here) have criticized By Man Shall His Blood Be Shed: A Catholic Defense of Capital Punishment. This week, Public Discourse is running my three-part reply. Part 1 has now been posted. Fifth, development is properly spoken of in the passive voice rather than the active voice. It always drives me crazy when Catholics, including churchmen, go around talking about whether a pope will or will not “develop” this or that doctrine. Development is essentially something that happens. 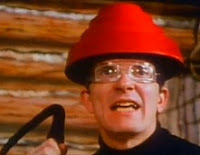 It is not an activity that a pope or anyone else decides to carry out when he gets some bright idea into his head. On BBC Radio 4, Melvyn Bragg discusses Kant’s categorical imperative with David Oderberg and other philosophers. Philosopher of science Bas van Fraassen is interviewed at 3:AM Magazine. From Edições Cristo Rei, my book The Last Superstition is now available in a Portuguese translation. 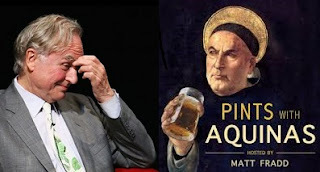 At First Things, Rusty Reno on accommodation to liberal modernity among contemporary American conservatives and in the pontificate of Pope Francis. UPDATE 11/14: Part two of the interview has now been posted. Recently I was interviewed by Matt Fradd for his Pints with Aquinas podcast. We talk a bit about Five Proofs of the Existence of God, but our main topic is Richard Dawkins’s critique of Aquinas’s Five Ways in The God Delusion. 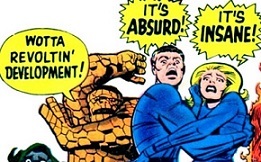 We work through each of the objections Dawkins raises and discuss where they go wrong. Matt is posting the interview in two parts, and the first part has now been posted. Routledge has just released the important new anthology Neo-Aristotelian Perspectives on Contemporary Science, edited by William M. R. Simpson, Robert C. Koons, and Nicholas J. Teh. I’ve contributed an essay titled “Actuality, Potentiality, and Relativity’s Block Universe.” The other contributors are Xavi Lanao, Nicholas Teh, Robert Koons, Alexander Pruss, William Simpson, Tuomas Tahko, Christopher Austin, Anna Marmodoro, David Oderberg, Janice Chik, William Jaworski, and Daniel De Haan, with a foreword by John Haldane. The book is available in hardcover or, for a much lower price, in an electronic version. Philosopher Michael Pakaluk kindly provided an endorsement for By Man Shall His Blood Be Shed: A Catholic Defense of Capital Punishment. In an essay at The Catholic Thing, Mike puts forward an important defense of his own of the death penalty. Go give it a read. Along the way, he comments once again on By Man, calling it “the most comprehensive case ever assembled” for capital punishment. UPDATE 11/19: The review can now be read online for free. [T]he central argument of [the book is] that some crimes deserve death, and that this is now and has always been the teaching of the Catholic Church. Anyone who would claim otherwise must contend with Edward Feser and Joseph Bessette’s unparalleled – and I’m tempted to say, irrefutable – marshalling of evidence and logic in this important new book.